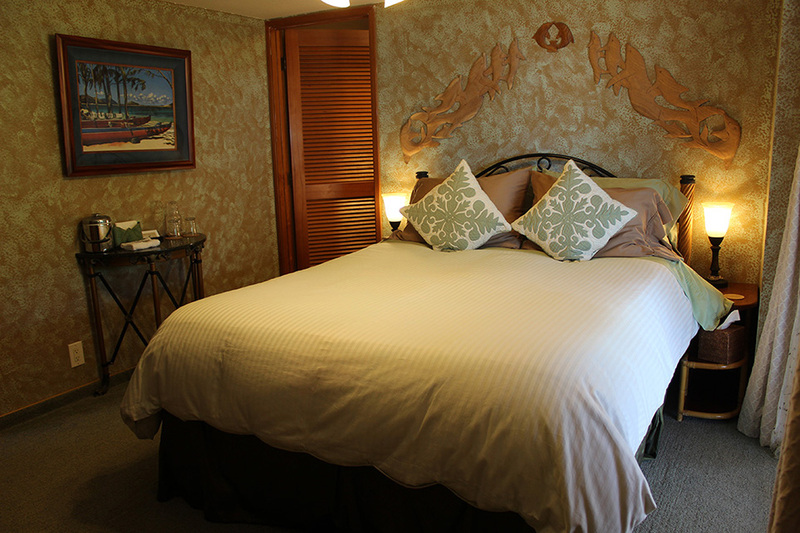 The Nai’a, or Dolphin Room, is perfect for the budget-minded traveler. 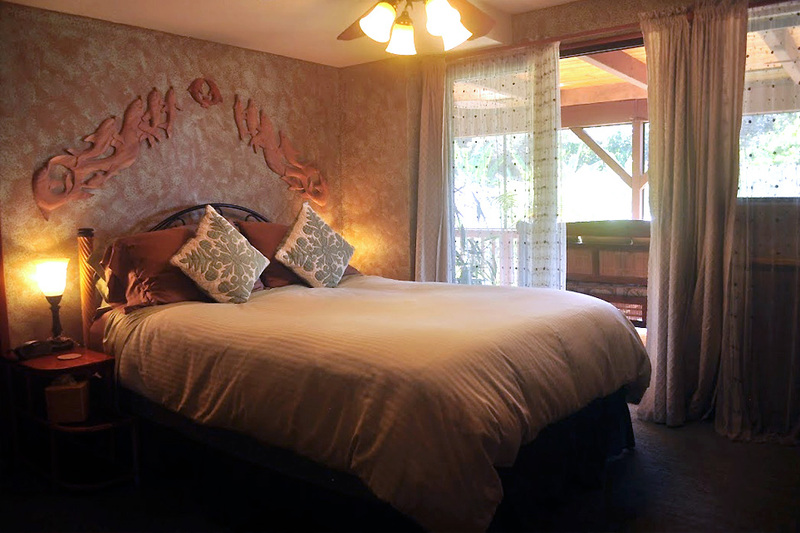 It features a comfortable queen-size bed, and is our only guest room with a bathtub and shower. Step through the sliding glass door and you can enjoy the spacious adjoining guest lanai complete with comfortable teak daybeds and chairs as well as a dining table. If you should decide to dine in, our shared kitchenette and outdoor gas grill are available for your use. 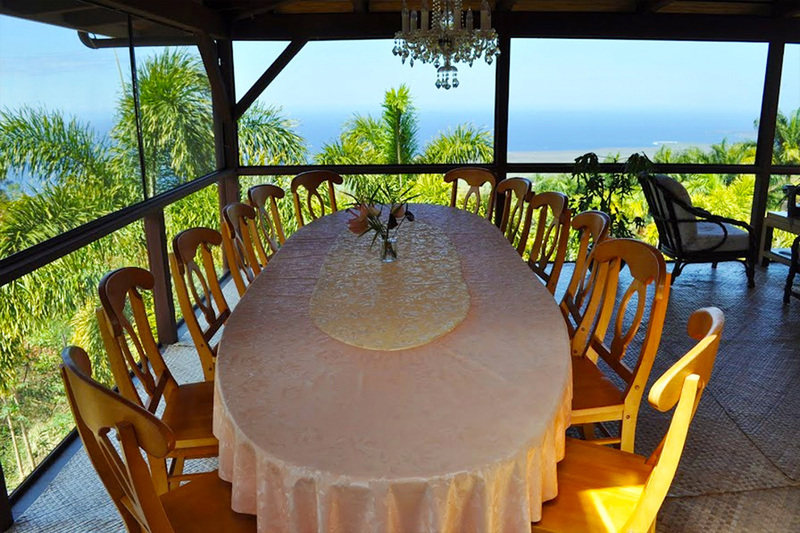 $145 USD per night for two adult guests which includes a generous organic gourmet breakfast.